It is crazy how much can change in just the matter of a few weeks! 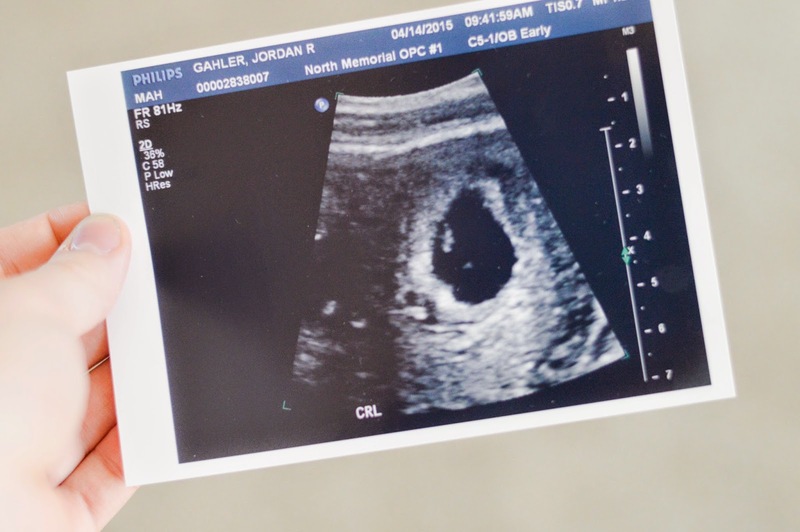 At first I was surprised with how identical I thought this pregnancy was to when I was pregnant with Kane, but boy was I wrong! I have had the absolute worst nausea the past week mixed with occasional heartburn. My headaches have subsided for the most part, but the exhaustion has kicked in full force! I swear I could sleep all day and still not feel well rested. I have had the most bizarre cravings! For example, the other day I was craving tamales. I have never even had a tamale, let alone particularly like Mexican food! I have had some mild cramping and loss of my mucus plug. My bloating is very slowly starting to go down, and by very slowly I mean turtle pace. I have been living in tee shirts and yoga pants. Today we had our first appointment with our midwife and our first ultrasound! Unfortunately the ultrasound tech elected to only do an on the belly ultrasound, and skipped over the internal ultrasound. Because of this the baby is measuring two weeks behind, resulting in a new due date. For right now our new due date is December 5th, 2015. 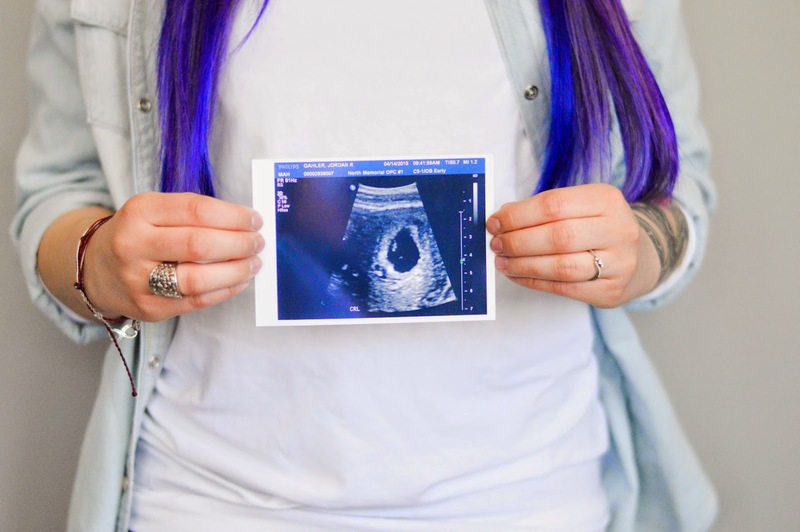 I had an appointment with my midwife following the ultrasound. 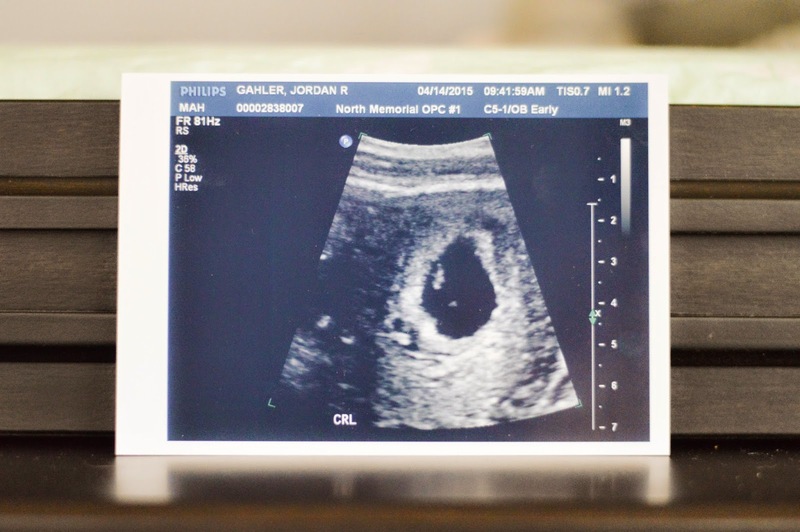 We will be doing a follow up, and another ultrasound in 4 weeks. Hopefully this time around the due date will better line up with when I believe that I conceived and my last menstrual period. If the dates match up closer, then my midwife will be changing my due date again. I look forward to continuing to enjoy this pregnancy and finding out the gender of our little one! So far majority of people I talk to think I'm having a girl. I don't want to take any guesses quite yet. I have thought about not finding out the gender, but I hate the idea of being unprepared and buying gender neutral things. I think that after we have a girl, I would be open to the idea of waiting. That way I would have items for both genders, and I would feel more prepared. Have any of you ever waited to find out the gender, and if so what was your experience? Overall I think that this pregnancy has been going pretty well! For right now I am trying not to focus on our little one measuring behind, I am trying not to worry about anything. I cannot wait to start doing some bump boards, and weekly updates about baby number 2! I forgot to add, we have already picked out and agreed on a boy and a girl name! So excited for you! ! !